Phishing scams are a serious problem around the world. The number of attacks - and their level of sophistication - has skyrocketed in recent years. If you have a website and do business online, you are probably at risk. Fortunately, there is an effective way to protect your customers, your company and your brand from phishing: SSL and Extended Validation (EV) SSL. 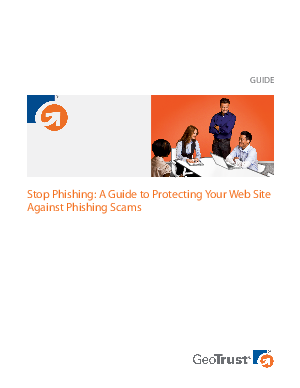 In this guide, you'll learn more about Phishing and how SSL and EV SSL technology can help protect your site, your business and ultimately, your bottom line.